In a logging camp situated the woods of Mackinaw, Michigan, a group of hardy men and women sit together to ring in the new year, 1900. 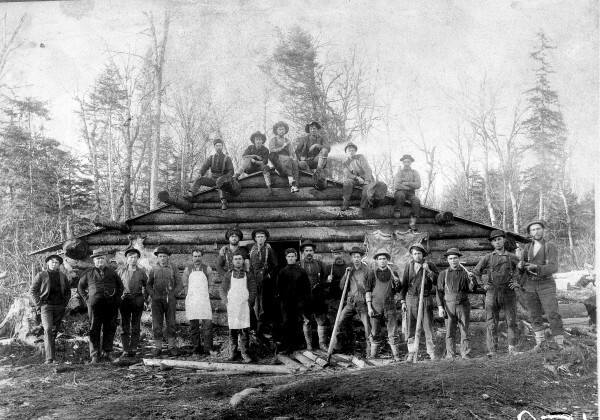 This group of lumberjacks and lumberjills sit together to celebrate with each other through the night. But just outside of camp, something (or things) lurk in the dark. As they learn what haunts them, these lumberjacks will need to use push their skills to the limit to survive. Mackinaw is a light role playing game where the players take control of a group of rough tree fellers as they fight for survival in a story the Game Master (GM) crafts. All you need to play is a couple copies of this pamphlet, about six six-sided dice per player, a pencil, and a couple of friends. Download the latest Mackinaw PDF Below.